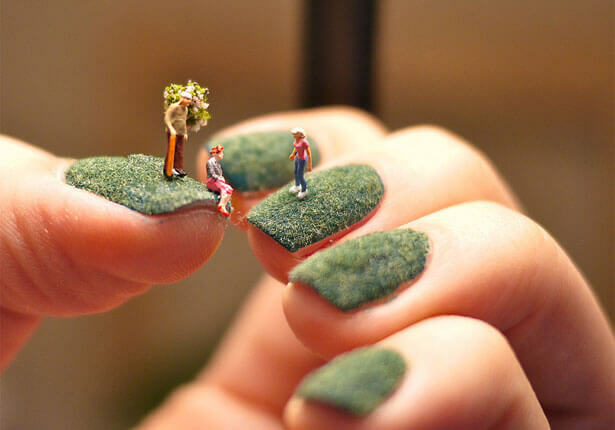 Have you ever seen a nail art like this? 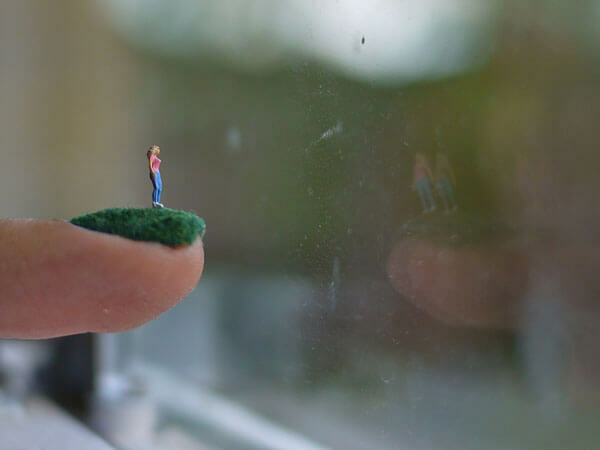 Its so creative and good photography too! 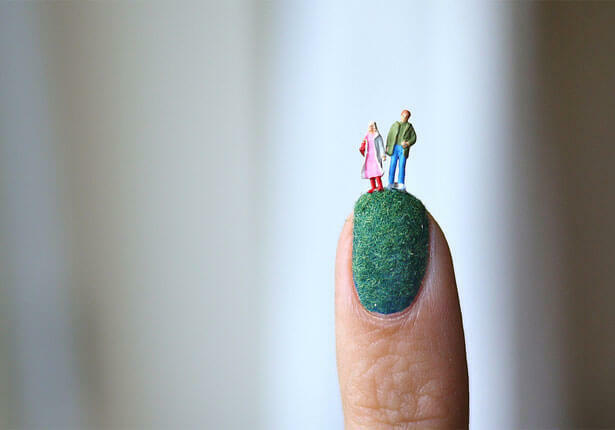 This nail art is done by photographer Alice Bartlett, who played with her nail quite well. 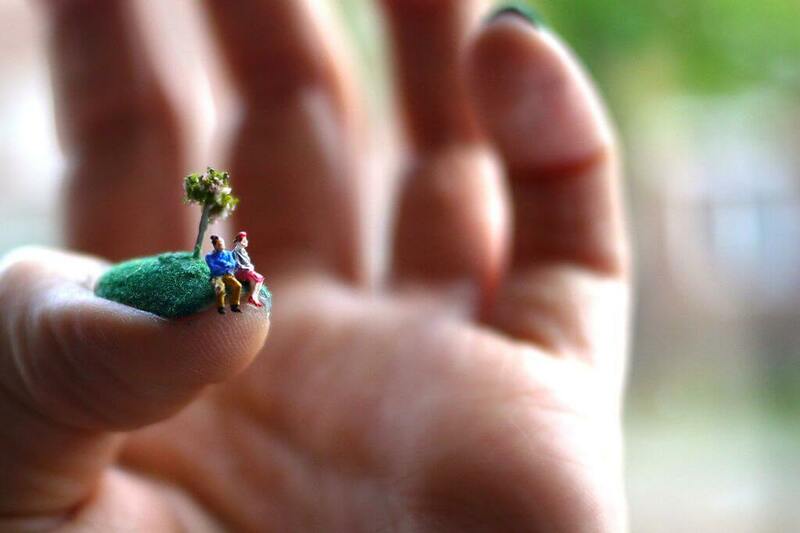 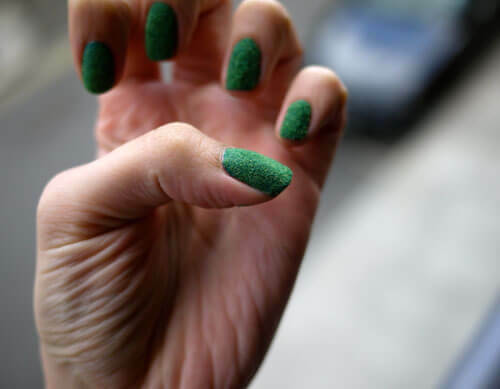 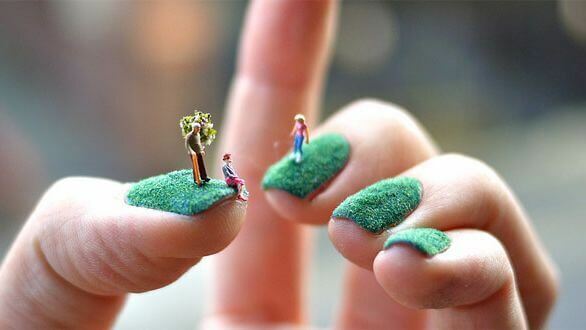 With some green flocking and tiny models she made the great effect, “The World at Your Fingertips”.